Forum Watch #64: Y’all Wanna Debate? The recent blue post about Magic Find exploits spurred what Cacaphony is calling, “The (second to) last MF thread.” When it comes to Magic Find, opinions, as they say, differ. We’ll have to run a vote about it sometime, to get a more balanced community consensus. Could friendly fire work in Diablo 3? I say no; it would be totally impractical with every character possessing a variety of ranged attacks and any sort of FF would make close proximity co-op play impossible. Some players, not all of them wistful PKs, beg to differ, and our forum hosts quite an active debate about the topic. 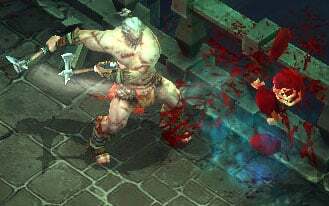 Fans are eager for more details about calculations and statistics, as demonstrated by related threads asking about elemental damage on weapons and critical damage will be calculated in Diablo III. Sadly, we can but conjecture at this point, with such detailed info unlikely to be revealed before fans can rip it from the game data files come beta time. Threads with suggestions/requests for game features abound as well; would you like to see a hearthstone, or a master-key/chest, or the return of ancient story tomes? Which D1/D2 char do you want to return? Which D3 class would you like to dump? How important is the destructible environment? What do you think of the Blizzard.com/Diablo3.com websites? Which D3 class/gender would you like to take out on a date? What do you want to learn more about at Blizzcon 2011?